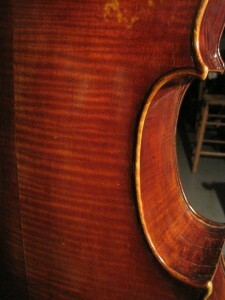 Lorne Munroe played this beautiful cello of Mateo Gofriller 1702 as principal cello for the Philadelphia Orchestra and the New York Philharmonic for decades. Gofriller- a contemporary of Stradivari – was the founder of the Venician school of violinmaking and he produced the most sought after cellos the world over. 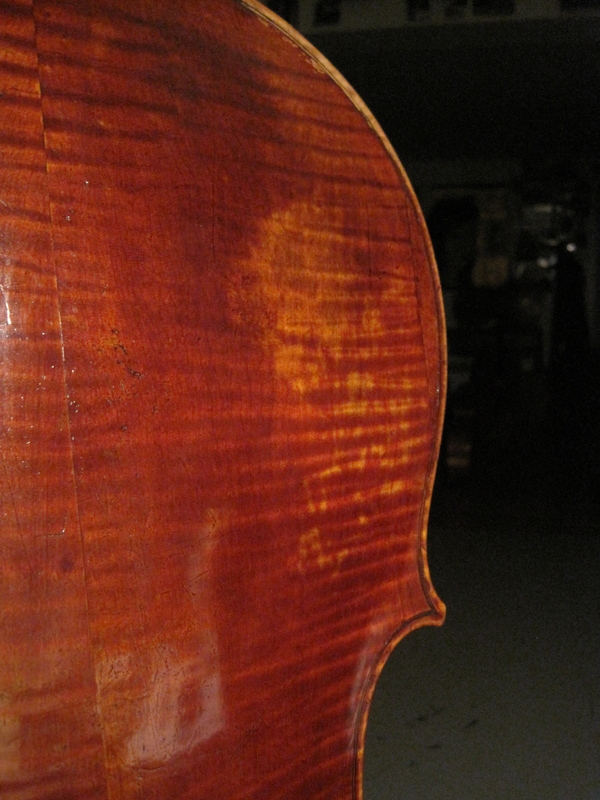 Their powerful arching, bold outline, deep red varnish are just some of the reasons the finest cellists are continually drawn to them. Venice is a fascinating place in that era -right there in the fluid area between Germany/Austria and Italy – with hints of this rich diversity in Mateo Gofriller’s very name. 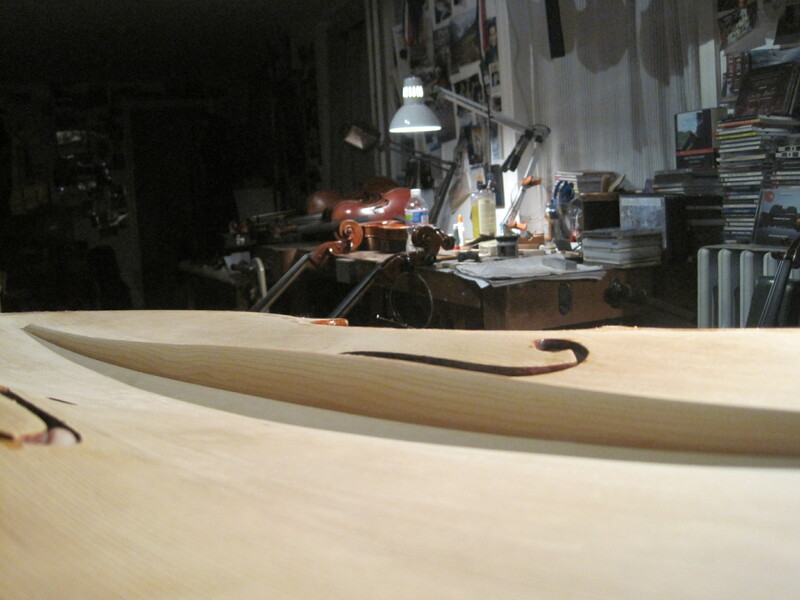 Mr Munroe tells a colorful tale of him first seeing this remakarble instrument at the Herrmann shop in New York in the early 1950’s but it was beyond his reach. 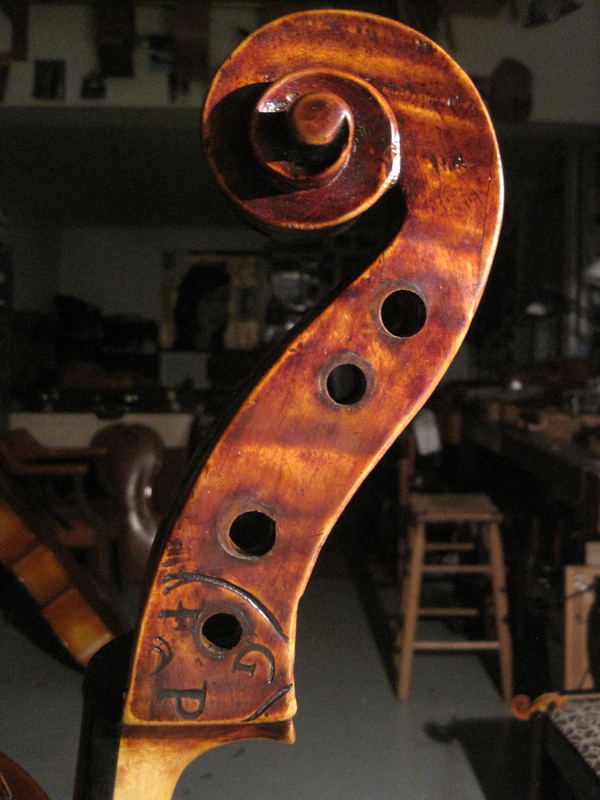 He then found a lesser priced “Gofriller” at the Moennig shop in Phila that after purchasing it was deemed to be Venetian but not Gofriller. 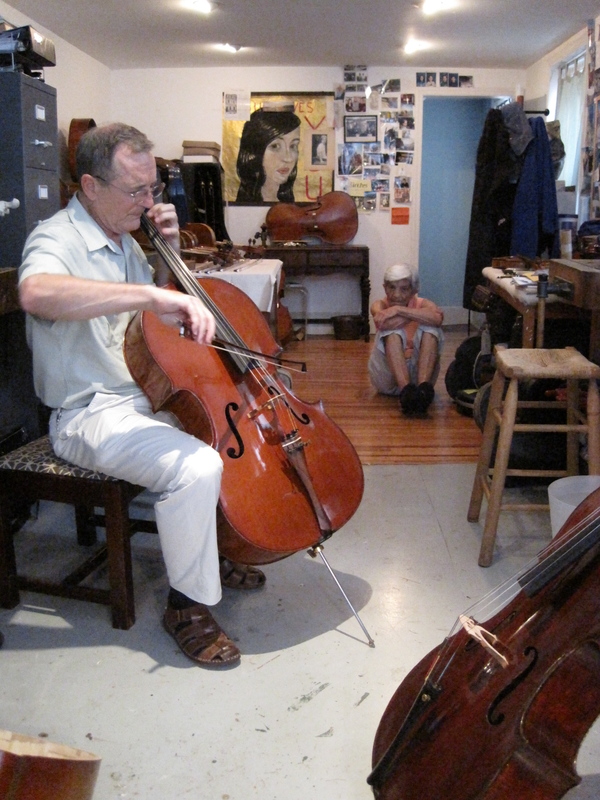 With his money refunded he went back to New York only to find the cello now for sale at Jacques Francais’ at a reduced price by an impatient consigner. 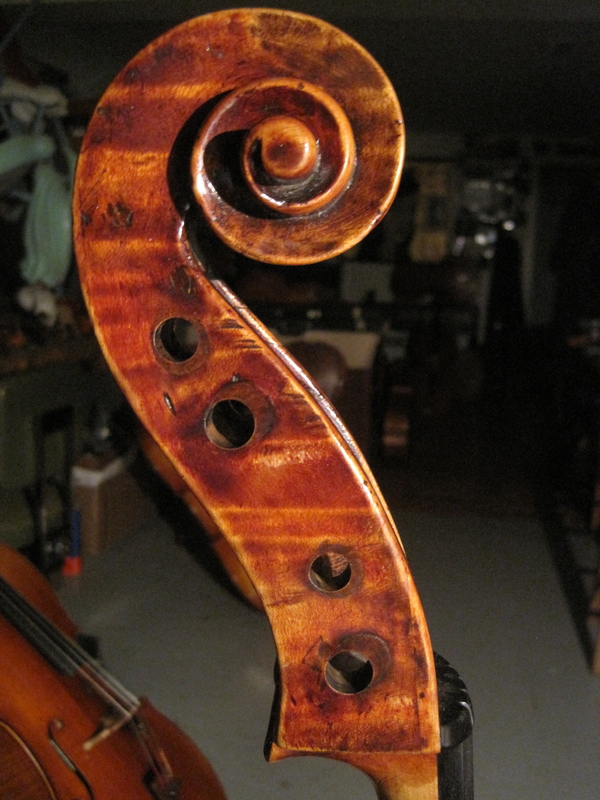 His teacher, Gregor Piatagorsky, seeing an auspicious sign in the enigmatic medallion branded on the scroll will his initials G & P on it – liked the cello immensely and highly recommended it. 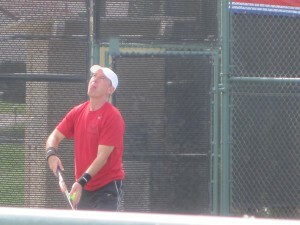 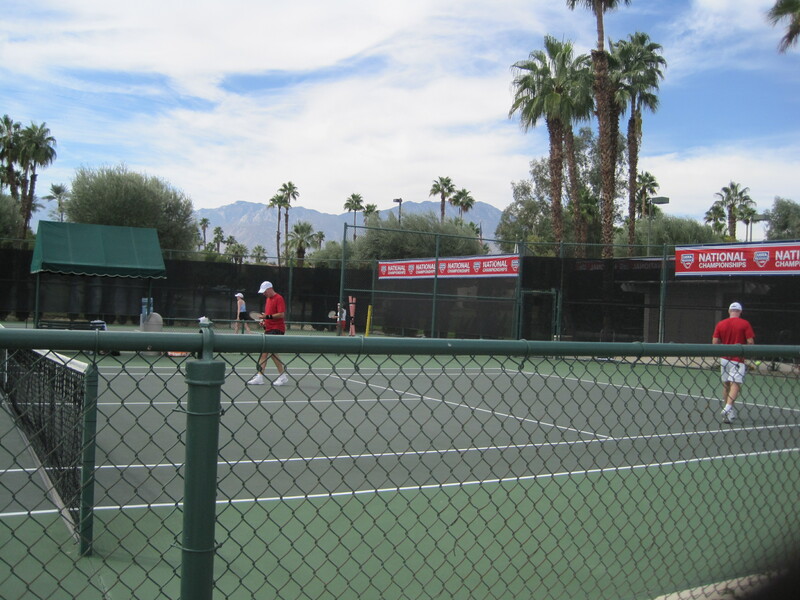 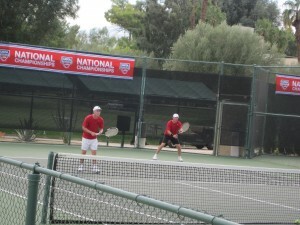 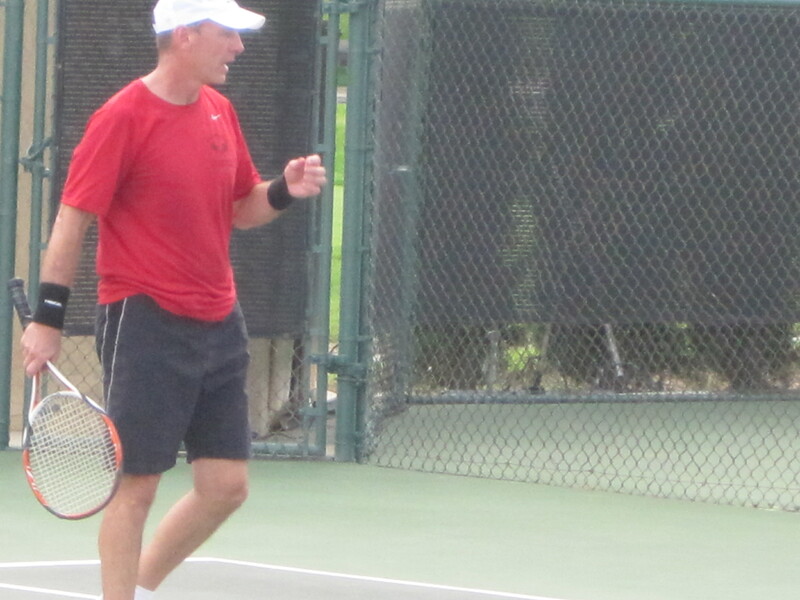 My tennis team goes to Nationals! 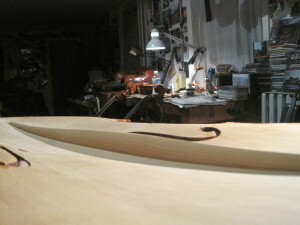 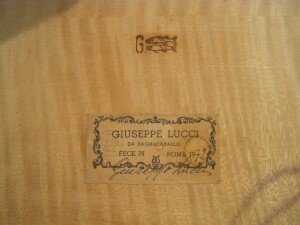 I am working on a fine cello by Giuseppe Lucci dated Roma 1972. 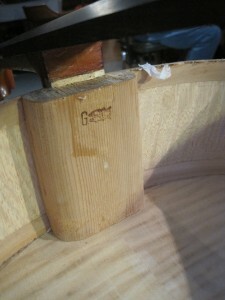 With the top off we get a nice close-up view of his label and whimsical brand ( which refers to the “fishy” origin of his name). 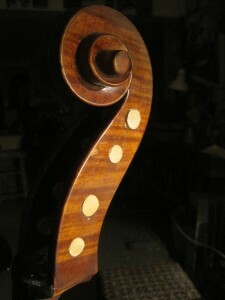 It was last sold through the Moennig shop to the distinguished cellist/teacher Metta Watts who has accepted the fact that she no longer needs such a fine cello. I worked on this cello many times during the years when I did all the cello work at the shop – though there was never time or the crying need to do all that could be done to make it look and sound at its very best. Now in my own shop I am able to change the bass bar and take care of all the other things inside -then, once the top is back on and I will be touching-up and restoring the” lustrous light golden orange colored varnish” ( as justly stated on the Moennig paper). Its interesting to know an instrument for a long time and see the time is come for it to be in the hands of a player who can do justice to all its power and complexity. 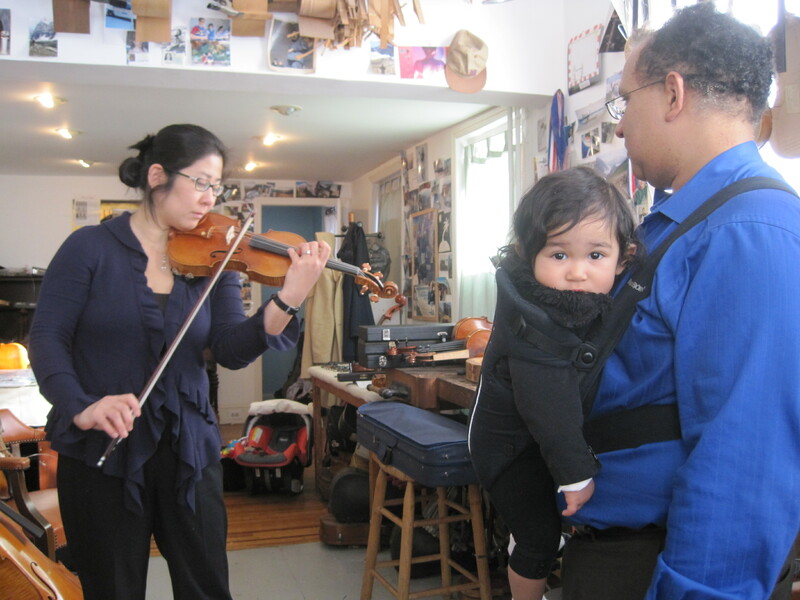 Ricardo Morales (and Victoria) watch Amy Oshiro (wife & mother) play on her beautiful Telosphore Barbe c 1880 that they acquired from me. 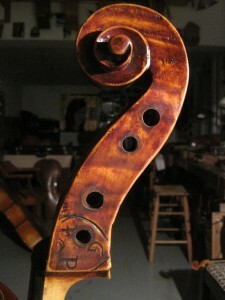 This Barbe was one of the principal workers in the Vuilluame workshop and it bears many similarities to the violins coming out of that great shop. 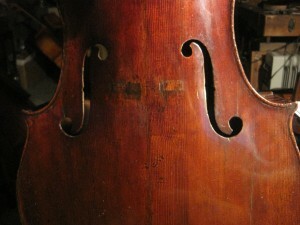 Only later in his life did he make instruments that have his his label. 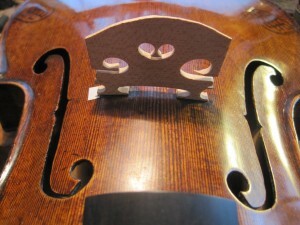 Accompanying this violin is a great letter from the noted French maker Gustave Bazin stating this was the finest example of T Barbe’s work that he had ever seen. Amy tells me she uses the violin very often for her playing in the Philadelphia Orchestra where she feels it warmth and power projects beautifully…..and when Ricardo agrees too you know you have a good fiddle! 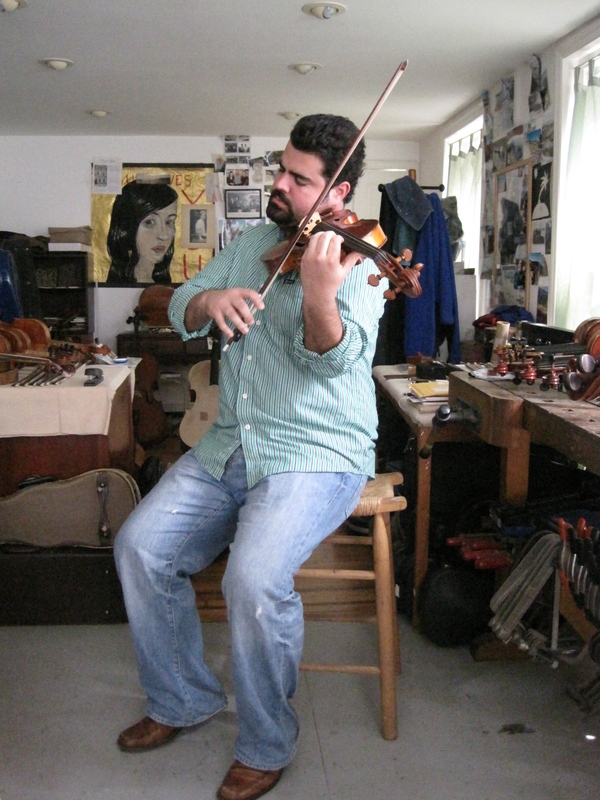 You might think Ricardo would be busy and immersed enough with his role as principal clarinet of the Philly O…..well you would be wrong. 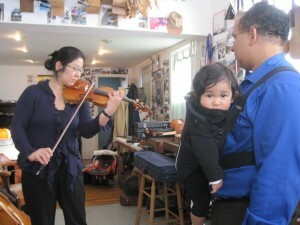 His boundless enthusiasm spills (or gushes) into the violin world – bringing an endless interest in instruments, character of sound, makers and just about everything else relating to string instruments.I think in a big way this is just an outgrowth of his lifetime of fussing over his clarinets – and that that endless search has now evolved into violins. 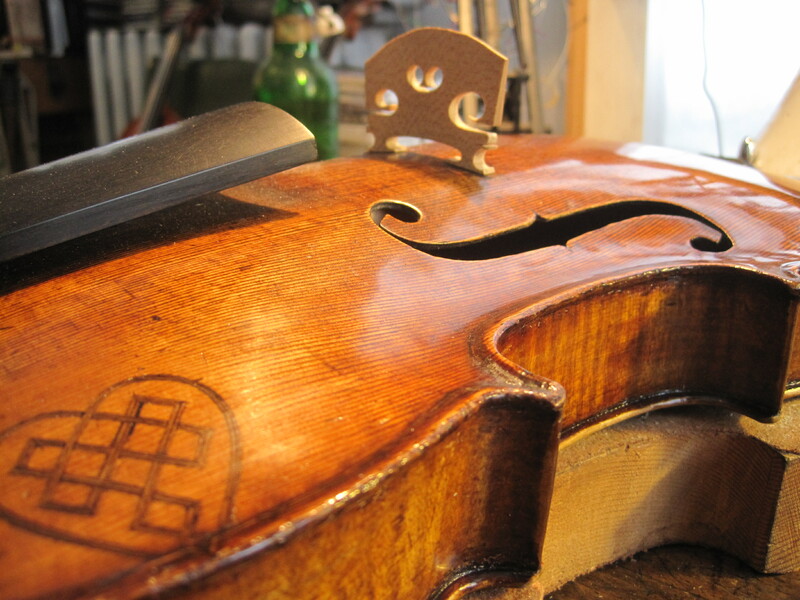 As he builds a collection of some of the finest new violins being made today its a pleasure to help him adjust, work on and admire along with him what these great things can do. Jaime is trying out his beautiful Italian viola after some extensive work. He is such a great player who draws a big,rich sound out his viola its a treat just to hear him play scales. 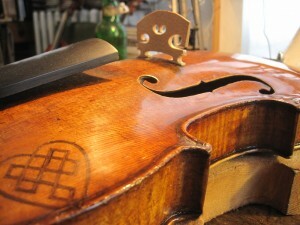 He is currently trying a few new Haide violas that I have worked on thoroughly – making them all they can possibly be. 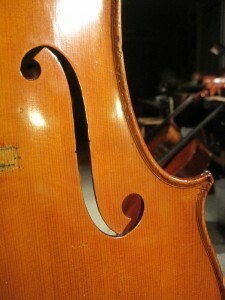 It sounds like the Maggini copy is getting a lot of work in the Orchestra and Chamber concerts. 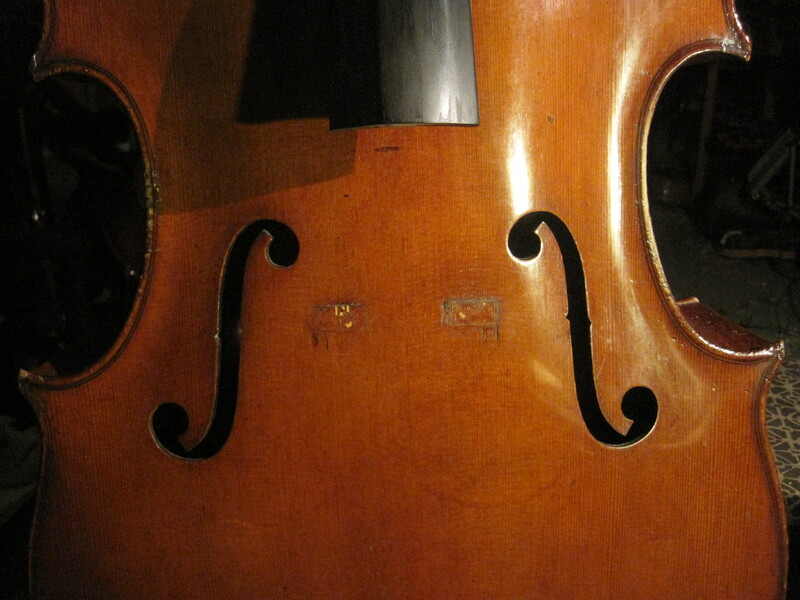 High praise from a very discerning musician.